Checklist for Planned Giving: What Tools Do You Really Need? Planned giving has gotten a bit of a bad rap. You might think, for instance, that those big planned gifts are out of reach for all but the biggest nonprofits. Fortunately, however, you’d be wrong. The fact is that a smaller organization can put in place a successful planned giving program. But you want to line up key things first. If you want more help, join our Planned Giving Intensive. This short webinar series is designed for the regular fundraiser – and it’s all recorded. We are not being technical in this series. It’s what all of us need to know in order to land the “ultimate” gifts for our cause. You can find out more and join here. Your Checklist for a Robust Planned Giving Program. Here’s a checklist to help you get started. I broke it down into the various stages when you’ll need these things. Some of these steps and tips are just part of a well-run organization (so you’re probably in good shape on that front). Others may require a bit of planning and implementation. A long-term mission. How long has your organization been around? Are you in it for the long haul? Do you have long term success, results and impact? Strong leadership. 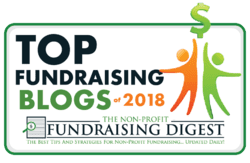 Is your board and leadership behind planned giving? Does your leadership grasp its potential for endowment funding? No planned giving program can or should get out of the gate without leadership—board and staff—out in front. Long term donors. 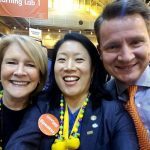 Has your fundraising program been stable over time? The most likely planned giving donor is someone who has given to you a long, long time. Line up your experts. Be sure you have a stockbroker and an estate attorney available to work with your organization when needed. Educate board and staff. Everyone who might be involved needs to understand what planned giving is, and how it can guarantee your organization’s future. Start small. Estates and trusts can be pretty complex. You don’t have to master them all right out of the gate. Start small and focus on bequests and stock transfers. You can always expand to the more complex instruments later. Craft your the messages. Create some consistent talking points about your new program. Why should someone leave their legacy to your organization? It’s as simple as that. Designate a responsible person. It’s so important to have a single contact person designated to handle all inquiries. Then you can be sure your donors are consistently treated well. Make sure this person’s contact info is included in all related communications. Once you’ve laid this foundation, you’re ready to spread the word. Tell everyone about the program. Use a variety of ways— the more, the better! Try a celebration to launch the program officially. Bring in a speaker. An estate attorney will be happy to come educate some of your donors about the benefits of planned giving. Is Our Organization in Your Estate Plans? Create a brochure. It can be fancy or plain. Talk about the happy idea of leaving a legacy – NOT taxes and estates. Put bequest language on your website. If a donor wants to include you in her will, share the exact legal wording she needs – right on your site. Donor stories. 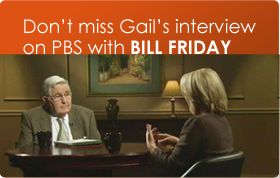 Include profiles of planned giving donors – that’s one of the very best ways to market. You don’t need to explain all the technical stuff! You might think the next step is to start asking. But first, lay out your stewardship plans. Add visibility. I really like Donor Legacy Societies. Just give yours a cool name and brand that adds romance. Don’t make it dry! A Legacy Society is a lovely way to make your donors them feel special. Get your donors’ stories. Set up a system for inviting donors to share their story. Feature them regularly in your donor communications. Check in. and check in again! Set up a routine plan for personal contacts. Be sure you personally appreciate these very special donors often! 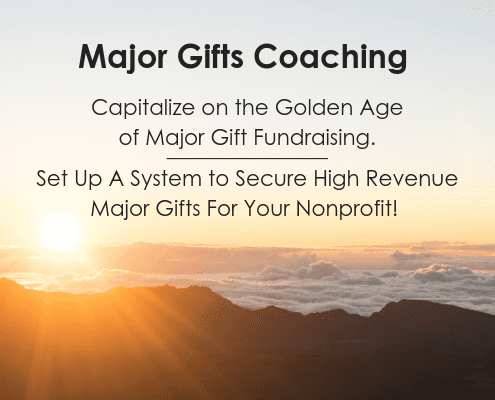 Launch Your Planned Giving Program. 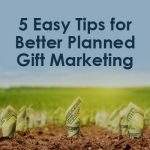 You’ve developed a solid rationale for the planned giving program, you’ve publicized it, and you have your systems up and running to receive the first gifts. Start with the board. The best possible way to launch a legacy effort is to have the entire board sign up with a bequest. Ask your board chair to donate first. Branch out to your major donors. One by one, meet with your major donors and ask them why they give. And ask about their estate plans in a friendly conversation. Spread a wide net. Start distributing info in every single piece of communications your organization delivers. Over and over again. Slather on the stewardship. Continue to nurture these donors’ connection by hosting special events for them. Invited them to insider events or tours. Send them special communications. Yup, a successful planned giving program doesn’t happen overnight. And it does take a consistent effort. But follow these steps – and no matter what your size, your nonprofit can land generous estate gifts from happy donors too. https://www.gailperry.com/wp-content/uploads/2018/04/4-13-18-blog-image.jpg 400 495 Gail Perry https://www.gailperry.com/wp-content/uploads/2016/03/Fired-Up-Horizontal-300.png Gail Perry2018-04-13 10:17:562018-04-13 10:44:09Checklist for Planned Giving: What Tools Do You Really Need?